I'm a mathematician working in set theory. I'm mainly interested in (iterated) forcing, its application to set theory of the reals, and special sets of real numbers. 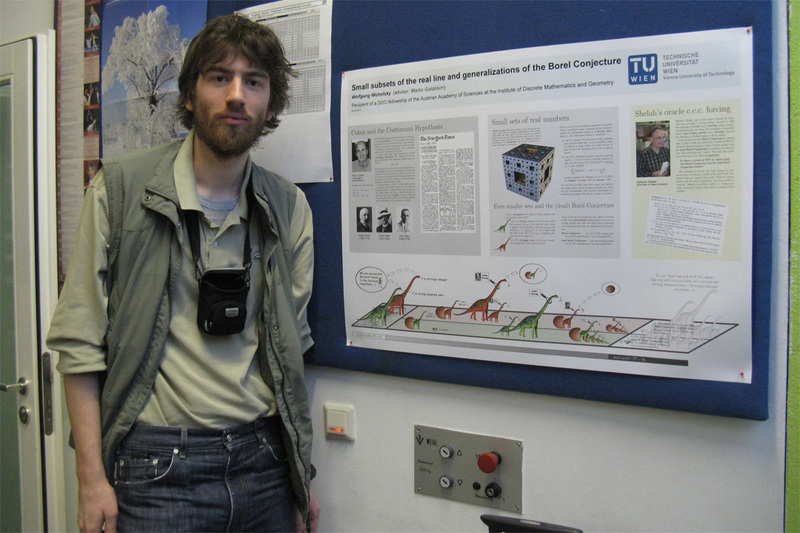 Since 2015, I work as a postdoc at the University of Hamburg, in the Mathematical Logic group of Prof. Benedikt Löwe. Does the Galvin-Mycielski-Solovay theorem hold for uncountable cardinals? The title of my thesis is "Special sets of real numbers and variants of the Borel Conjecture". On Monday, October 7th 2013, I had my PhD defense. Together with Martin Goldstern, Jakob Kellner and Saharon Shelah, I have worked on the joint paper "Borel Conjecture and dual Borel Conjecture". We show the consistency of "Borel Conjecture + dual Borel Conjecture", i.e., the existence of a model of ZFC in which there is neither an uncountable strong measure zero set nor an uncountable strongly meager set. Here is a link to "Borel Conjecture and Dual Borel Conjecture" on arXiv. 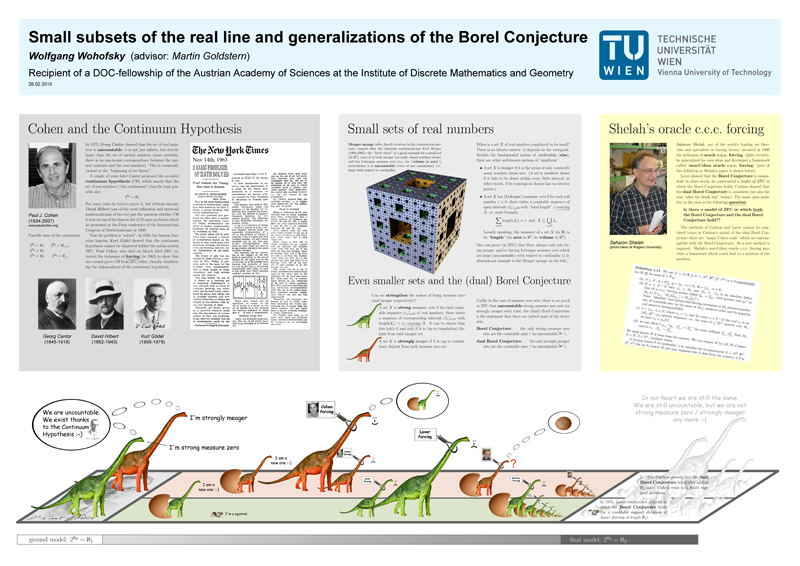 "Small subsets of the real line and generalizations of the Borel Conjecture"
From 2010 to 2011, I was recipient of the DOC fellowship of the Austrian Academy of Sciences. 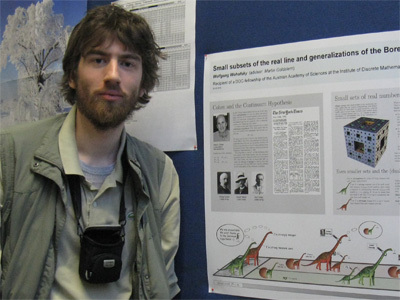 I had to prepare a poster on the occasion of the fellowship award ceremony taking place in February 2010.
as a <2 MB .jpg-file (also 5000 pixel width, but with jpeg compression artefacts).